I promised myself last night that no matter what happened, I would get up and get to the gym this morning. I even ate a fourth meal after coming home to make sure I’d sleep well and wake up refreshed. It worked, and when the sun was streaming in at 930, I hoped out of bed, threw on some clothes and ran (yes! I actually ran the 1.5 blocks) to the gym. I step into Studio 1 for the advertised Body Pump class, and suddenly the world looks ok again. Yesterday, everything was pretty grim, and even though the sun was shining and I had a full day of plans, it felt a little off balance. But that gym studio–hard wood floors, a wall of mirrors, big fans, weights, mats, bars, steps–it all was so familiar, I immediately was pulled back to reality. The music started, and the instructor began the familiar, “really slow this time… down quick up slow…two and two” and I was totally in the zone. Obviously, people talk about this whole Gym Zone Thing. It’s the drug that keeps them coming back, even when it’s cold or dark outside or they’re tired or they have had a long day or they have a ton of work ahead of them before they sleep. And I like to pretend (if we’re being totally honest) that I know all about The Zone, like I’m a member of the club. But now that today happened, I’m not sure I’ve ever joined the club before. It was crazy. I joined the gym a week ago and have been going everyday, but today I got my first full lung of oxygen. Hard to believe you can find your calm zen place when you’re pumping iron and shouldn’t be able to hear yourself think over the music. But, there it is. Who knew that the piece of America I’d be most happy to find here would be a sweaty, stinky room full of strangers with one guy in charge who just kind of yells at you the whole time. Dice, this post is especially for you. It’s not quite the same without you next to me in class, but we can imagine we’re together and I’ll crash the gym in December! awww!! you made me cry!! 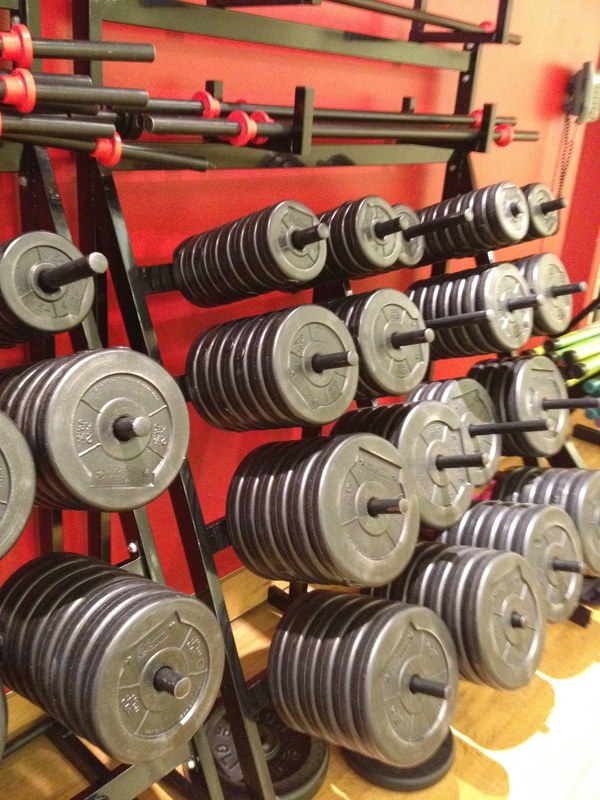 i miss you at body pump too (when i am able to make it…) and i can’t wait to go with you in december. maybe i can even convince you to venture downstairs to the sweaty “guy” zone!